Was wondering if anyone has ever changed the brakepad on a V-50, or i suppose any Vertical. Mine seems to be worn down quite a bit. The leather is about 1/8” to 1/4” thick, but I can see wear on the posts (cant think of a better term) that hold the leather onto the brake. I’m thinking I need to double the thickness, but didn’t know if I should find a single thick piece of leather, or if I could double up with two thinner layers. If anyone knows the original specs of that leather, or has any experience replacing it, I’m all ears to input. Was hoping you’d see this, and figured you would have an answer. Let me get a good photo of the pad, before I make any adjustments. I feel that since I’m grinding into the rivets it may be time for replacement, but you’ll know better than I if the pad looks worn out or not. If as You imply You are down to the rivets, the most favourable option should be, the Generous offer above, unless distance and shipping are a problem, coupled with the fitting and adjustment(s) seems a good prospect. !! Here U.K. way back (but unfortunately now a thing of the past) we were able to seek the services of an accredited, *Meihle Goss Dexter* Agent. 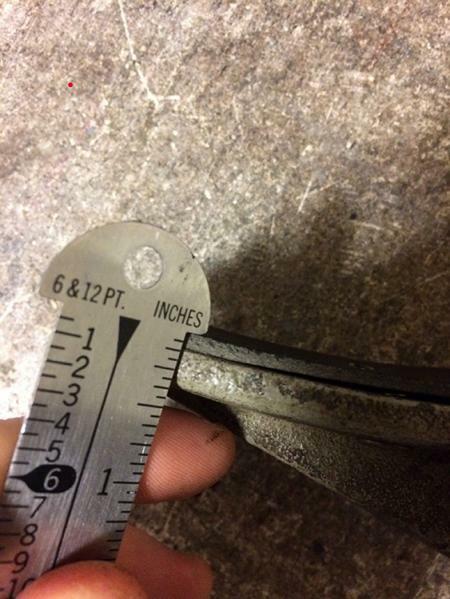 When necessary we just phoned in, requested a replacement (re-lined) brake shoe on the understanding that the existing Shoe be returned for servicing. That service (along with all other V.M. services) expired but with a little help and advice from our Auto/Car brake shoe relining agents, began re-lining or own V.M. shoes. Usually acquired traditional leather either from Bona Fide Cobblers or Saddlery/Equestrian sources. Coupled with the acquisition of (A) Star-wheel, style multi hole punch and (B) simple hand held brake shoe riveting tool, and most important (C) *COPPER* Rivets. 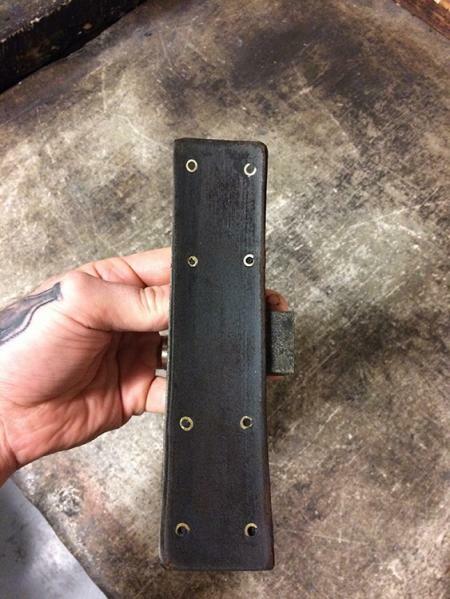 Even with Copper Rivets they were (and still are) rebated/recessed 50% into 1/4” or 3/8” leather. Thanks for that info Mick! I agree that replacing seems most logical, and then making the adjustments with a fresher pad. I’ve attached a couple photos of the pad, and the exposed rivets. I’ve also attached a photo of the square headed bolt that I believe you’re (Bud) is referring to, if you can confirm. I see the hole for the pin wrench to make adjustments. Those rivets look to be a softer metal. Probably brass or copper. Use it until you find a fix. They don’t look like they are grooving the flywheel. In a new pad they would be recessed into the pad. 3 Cheers, Thank You, but please in no way wishing to *Steal You country-mans Thunder* just passing on info and learning, gleaned from a long time ago. One possibly helpful + we are literally on the point of dismantling (parting out I think is your expression Stateside) a V.M. and could if requested (with a little help) transmit shots/pictures of any relevant parts. ascertain if, the square headed pinch bolt carries a chisel point to register with a concave depression or a *flat* on the shaft. ? I offer this scenario, just from past situations, where Taper Pins locate fittings in a fixed/timed position, as opposed to fittings that need to be re-positioned on an infrequent basis. Eric- they seem to be brass, and I’ve been running as is without any noticeable grooving on the flywheel. The reason I put in this inquiry was because I’ve noticed when the the Press is stopped, either by my hand, or by the auto kickoff, the press carries quite a bit of momentum, sometimes a full cycle. Mick- thanks for the heads up about the bolt end/shaft. I should be able to check that out easily. There are a couple other square head bolts on the whole belt/pulley assembly that are adjustment bolts, which leads me to believe this is no different, but an investigation tomorrow shall let me know for sure! 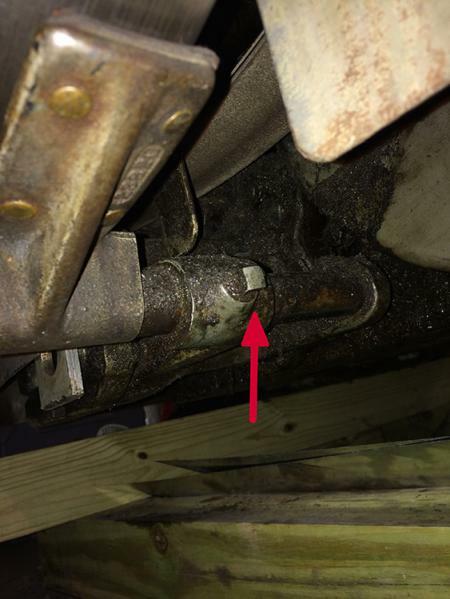 Luckily, that shaft, at first glance, doesn’t appear to connect to any other sort of timing, but just makes connections between the brake, pulley lever, and the auto kickoff arm. Thanks Bud, I’ll give that adjustment a try today. the press may “Coast” more once the rivets are contacting. it needs to be fixed for sure.